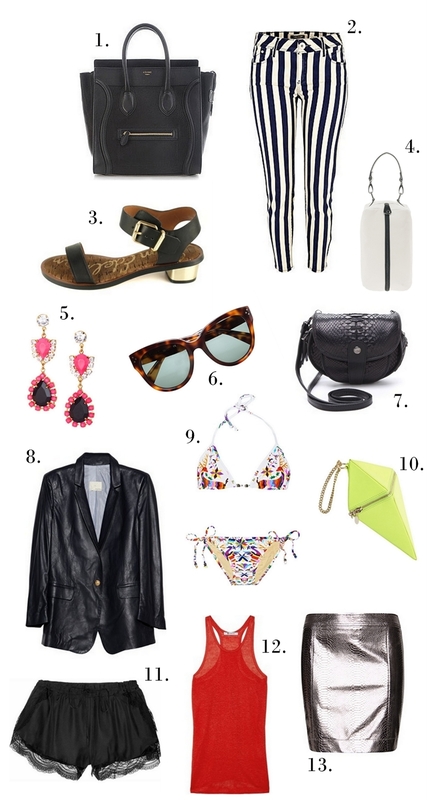 Currently obsessed with all of these items, especially with the Celine bag, the sandals and the silver skirt. By the way, those fantastic striped pants are in their way to me! YUP! Got yourself a favourite? Me encantan los short de Asos. Aww Zoe, I love coming to your blog because we have quite similar taste on a few things. I would like that striped pair of pants, even though I am not sure if I would be brave enough to wear it. Adore the pink earrings and yellow cutesy bag. The shorts are so sweet! I want items number 1, 2 and 6!! !